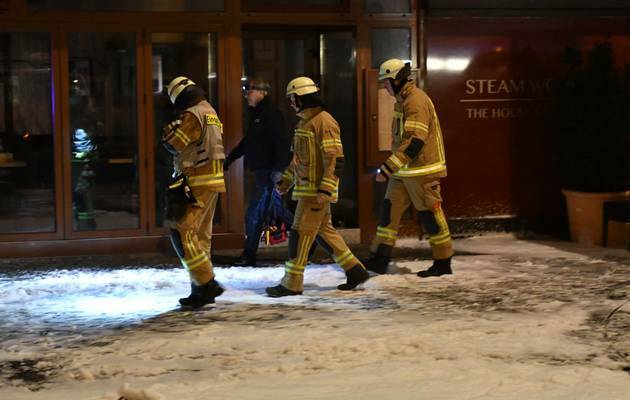 A fire at a gay sauna in Berlin, Germany has killed three people and injured one, emergency services said on Monday. The blaze broke out late Sunday night at The Steam Works club, in the “narrow and winding” small private rooms, making the search by the fire department more difficult, Times Live reports. Over 80 rescue workers were dispatched to the scene. “It was a lot of work to break into each room and to check for victims,” a fire department spokesperson said. One victim, a 48-year-old man, suffered from smoke inhalation and was taken to the hospital. More than 25 people escaped the fire on their own and helped point first responders in the right direction. The cause of the fire is still unknown, reports the Associated Press. Photo: The Steam Works, via The Local Germany on Twitter. How horrible. This reminds me of the fires that happened in bathhouses in New York and San Francisco in the 70s. In 2016 I went to that bath house in Berlin and loved it. I am sad to see it burn. In Berlin bath houses are like 7-11s in this country. Each on attracts a certain type of man.